It was a sheep farm and farming commune before it became the first student union in Linköping. 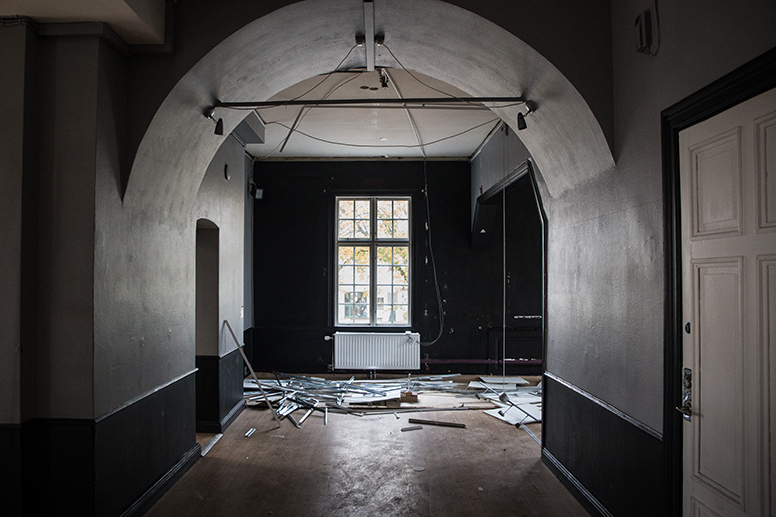 After 50 years in the service of students, Ryds Herrgård is undergoing a thorough renovation to regain its glory from former days. Ryds Herrgård is a manor house with traditions, not only for students but for all Linköping. It opened in 1968 as a student union with what the local newspaper described as “Walpurgis Night celebrations with hamburgers and real ale”. Since then, many students and student events have graced the walls of the manor house. It has seen debates, formal dinners, pub meetings, social events, and live music from artists later to become famous. The posters are still on the walls. Radio Ryd, a pioneer in radio production, was transmitted from a cubby hole in the loft during the 1970s and 1980s. High-energy student life, of which evening dances were a prominent component, has left its mark on the building. 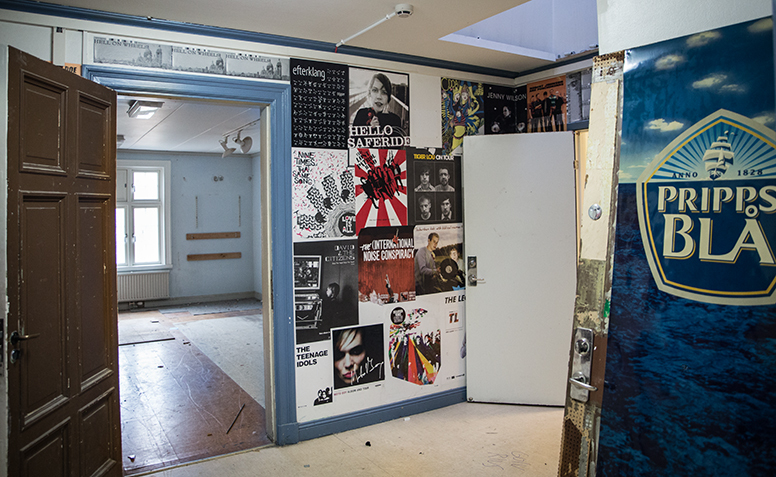 Further, the manor house has seen competition from several other student facilities in town, including Kårallen and Kårhuset Kollektivet. Ryds Herrgård needed to come up with something new. Or rather, the owner of Herrgårn, Studentbostäder, and its tenant, Kårservice, needed to. Extensive renovation is now being started to preserve, reinforce and improve both the building and the activities it houses. “Student life with something special” is the new vision for Ryds Herrgård, and its future activities will stand on three pillars. The first pillar will be, as previously, student events: this is the raison d’être for a student union. It will be possible to hold large formal dinners here. A pub and somewhere to just hang out have been foremost in the wishes of students, rather than a nightclub. The second pillar comprises study places and a daytime café. Until now, Herrgårn has been closed during the day, as has also its imposing entrance. Now the main doors will be open during the day for both students and others. 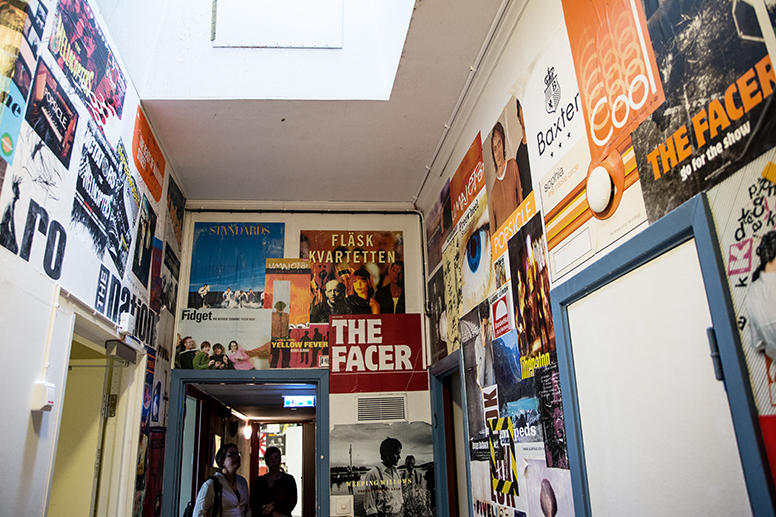 The third pillar is Drivbänkscafé (an incubator café), which arises from a desire to open Herrgårn to others than students. 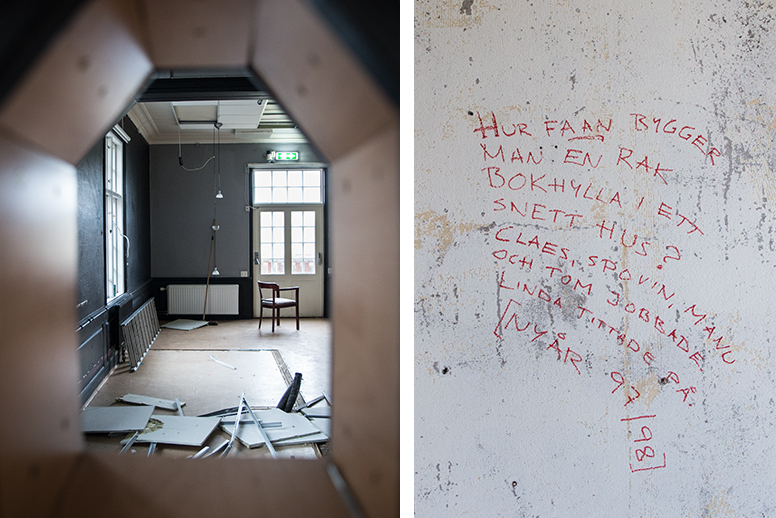 The intention is to make Ryds Herrgård a meeting place for people who otherwise would not meet, such as students and other residents in Ryd. 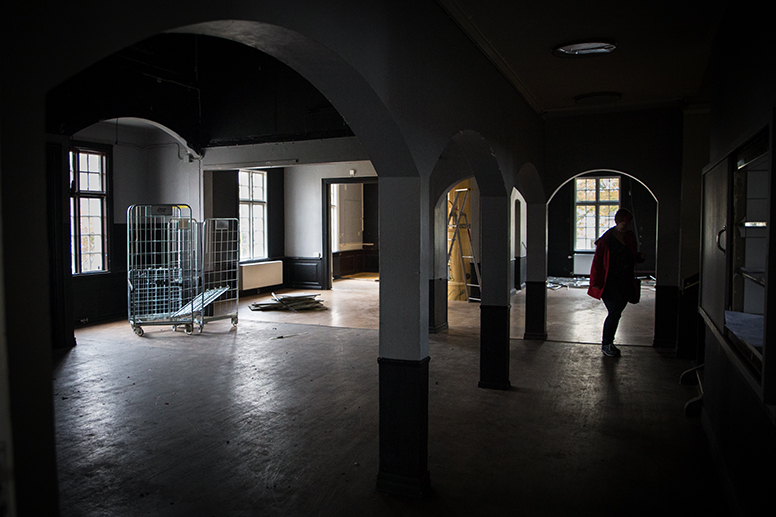 It will offer meeting rooms to clubs and societies in the area, for example. Students already provide homework help to local schools, and this is an activity that could take place here. Incubator cafés can be found at other locations in the region, providing places for people who find it difficult to enter the labour market. 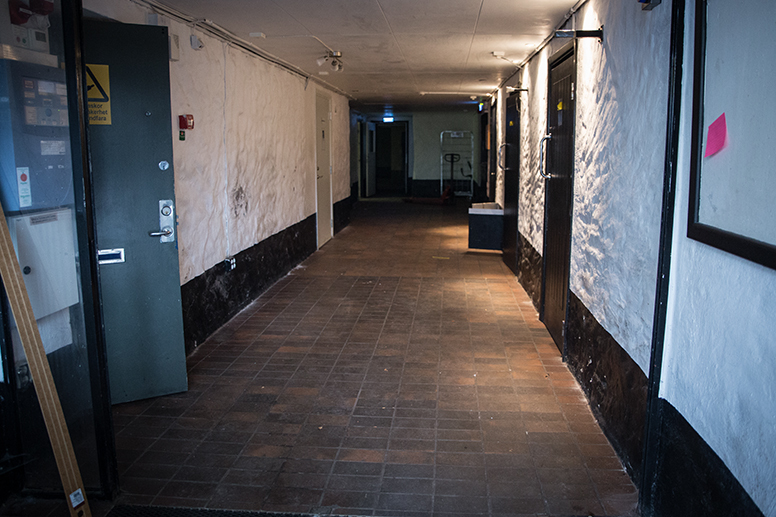 Ryds Herrgård was emptied, and renovation started in October 2018. And it will require a gentle hand. The building is listed as a site of architectural heritage, which means that its character must not be changed, either inside or outside. A special care programme has been drawn up for the building. Masonry heaters, stucco mouldings and panelwork are to be preserved and brought to prominence, and open areas are to be made larger without losing the structure of individual rooms. The staircase in the entry hall will be moved to its original place, and the balcony at the entrance, which is currently obscured by later additions, will be freed. All infrastructure such as kitchens, coldrooms and ventilation plant will be moved into the basement, while the beautiful 18th century stone wall will be preserved. The upper floor contains personnel areas and group rooms. It also presents posters from many of the artists who have performed here. These will be preserved, of course, under some form of encapsulation: they are part of the recent history of the manor house. Student life is brief, and the renovation must not take too long. 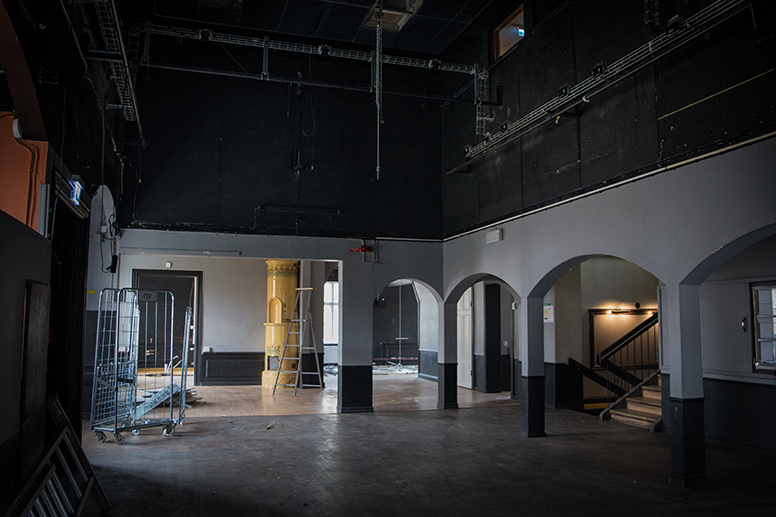 The work will be completed during the summer of 2019 and activities in place just in time for Nolle-P.
During the renovation, a "PopUp HG" will open, with study places, dinners, a pub, a café and lunch cafeteria. Nobeltorget 5 in Vallastaden.